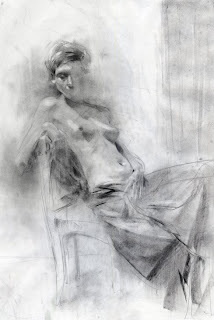 Francis Vallejo | blog: figure drawin and a couch!! figure drawin and a couch!! Hey guys. Quick post. 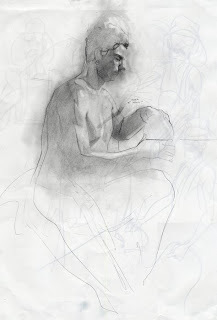 I'm real excited about the way I've been approaching figure drawing lately...sort of adopting a Tony Ryder and Zhaoming Wu method. And on the completely other side of the spectrum I have an image I did for a commercial that I worked on with Jihad Lahham. It was to promote an event at our school. I think it's running on Comcast or something similar. But as soon as I knock this plague of a sickness that's running threw southern FLA I got some art blogging to do!! Hey, Very nice work. I'm blown away by the level of work here. I like your portraits a lot. Really nice Francis! It's always inspiring to visit your blog. You run the gamut of the entire spectrum of art and do it well too. Hope you feel better soon. Francis, nice range of work you have going on here. I can't believe I missed the Seattle art conference. I'll have to check that out next time around. hey thanks man. I hadn't had a chance to check out your work but I'm impressed you're really talented so all I can say is keep forth! I like the variety in your work. No matter if it's a drawing, painting or digital color-up, it's always good. That's a pretty sweet sketchin style! Keep rockin man!! Hey Nice work man, great style you got going there. im jealouse. good range too. 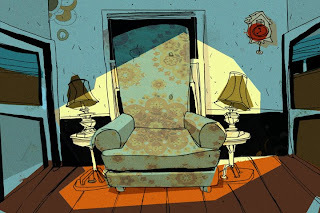 Beatiful blog and awesome works Francis!! I like your style!! Greats my friend! Man that couch is fantastic. Great stuff all around. Inspiring. thanks a lot guys! I always check out the blogs of those who post. I may be a little slow to respond to your blogs, but I'll be sure to comment back as soon as I have a moment. Thanks again!!! Wow, man, the one on top makes me crazy ... unbelievable good. I love hearing the little commentaries that are now attached to your posts. Your discipline and dedication to blogging is inspiring. :) Thanks. Cool stuff Francis. I would normally feel compelled to talk to you about the figures, but that couch is really speaking to me. Nice design. hey. thanks for linking me. your work is looking nice man. keep it up. what are your plans after graduation? check this guys stuff out. i found him at miami basel last year and i have really been digging his work.